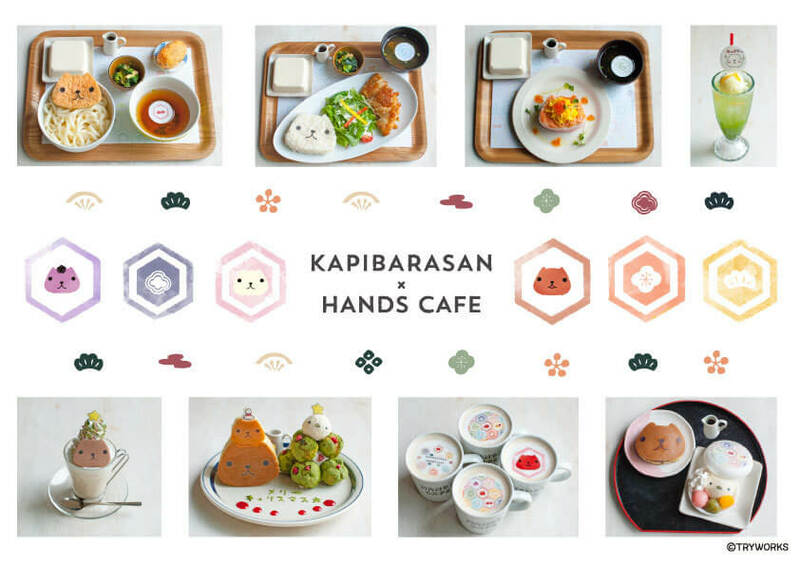 The adorable Kapibara-san is joining paws with five Hands Cafe branches in Japan from November 5 to December 25. 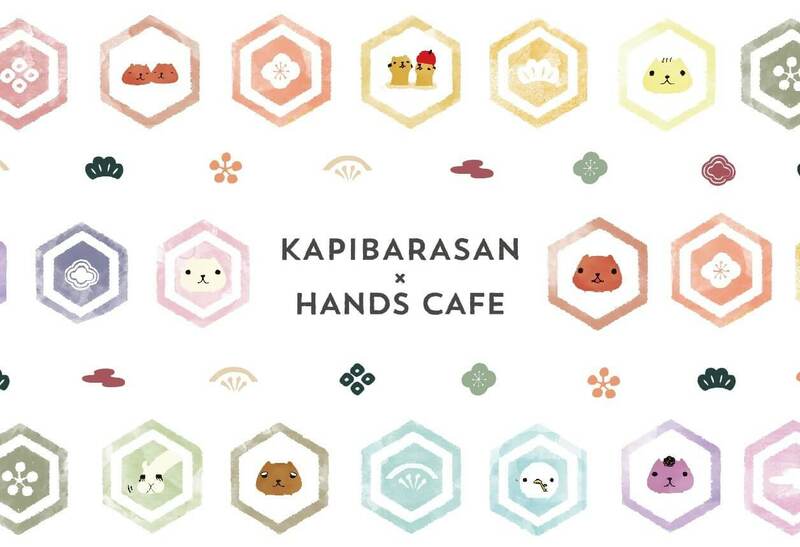 This is in fact Hands Cafe’s 4th collaboration with Kapibara-san. The key visual for the cafes takes on a Japanese-style design. Six different dishes will be sold. 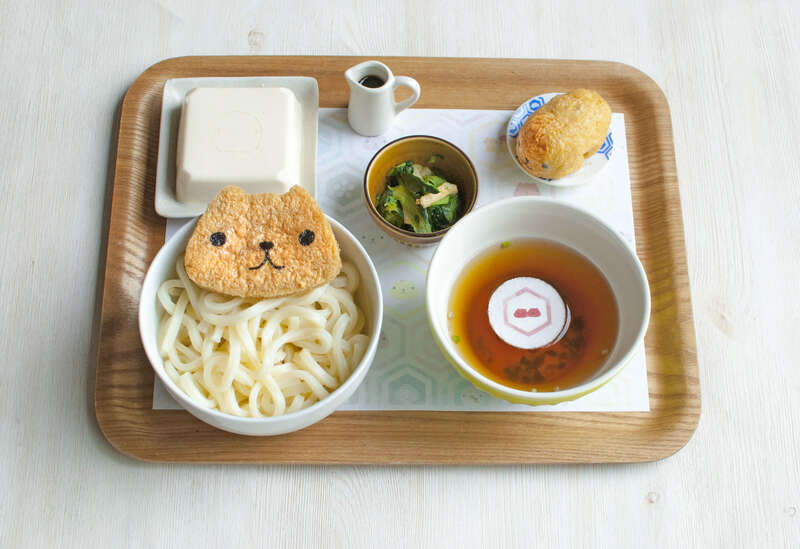 This meal includes a cute fried Kapibara-san atop a bed of sanuki udon noodles. It also comes with inari sushi to emphasise that Japanese feel. 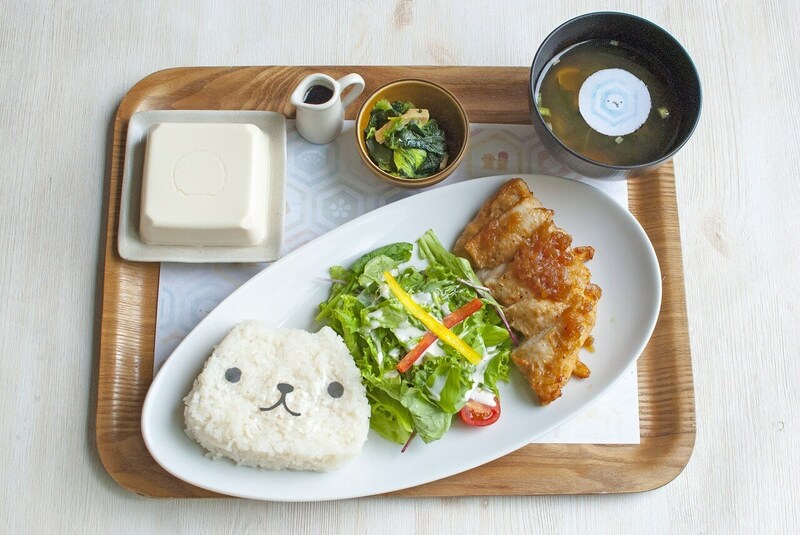 This dish includes a chicken steak drizzled in Japanese-style sauce and is served with green salad and rice made into the shape of White-san, a friend of Kapibara-san. 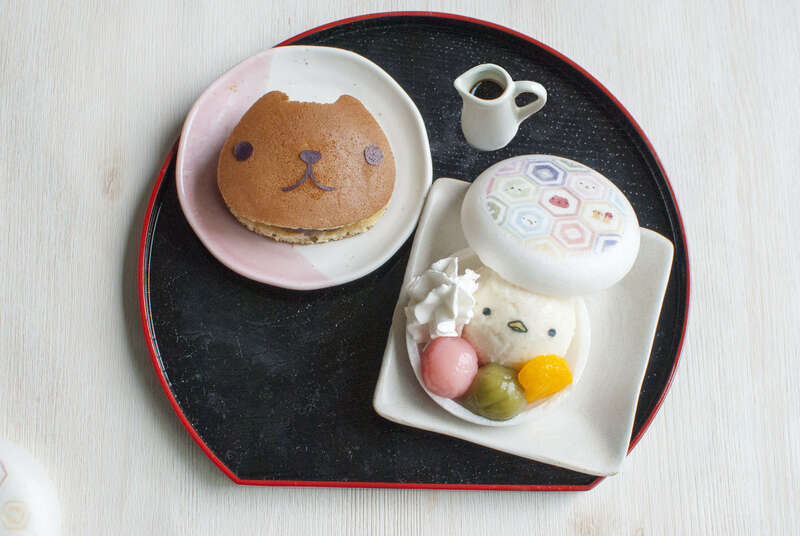 For dessert, tuck into a Kapibara-san dorayaki red-bean pancake and cream rice flour dumplings and wafer cake. There are three original wafer cake designs to enjoy which are chosen randomly, so look forward to seeing which you get! The following two Christmas items will also be available from November 26 making for a total of 8 items to choose from. 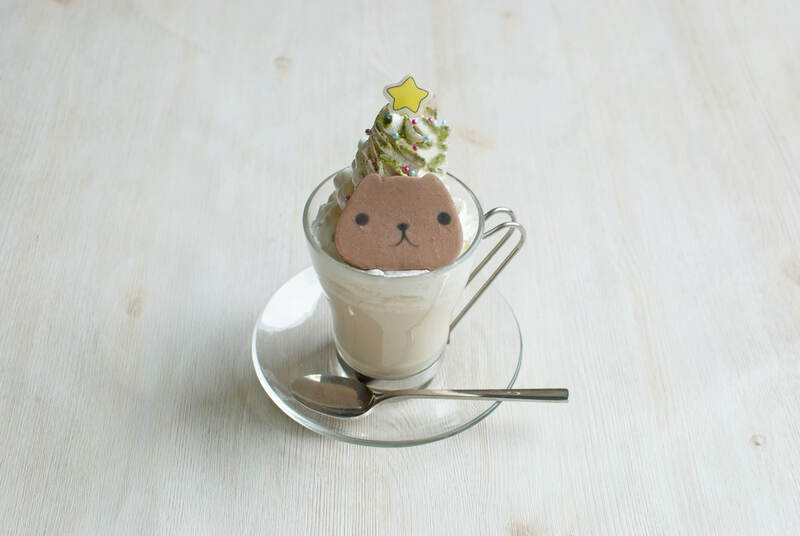 The cute baby capybara Kopapi is riding on Kapibara-san’s head in this dessert. They are both thick-friend pancakes. 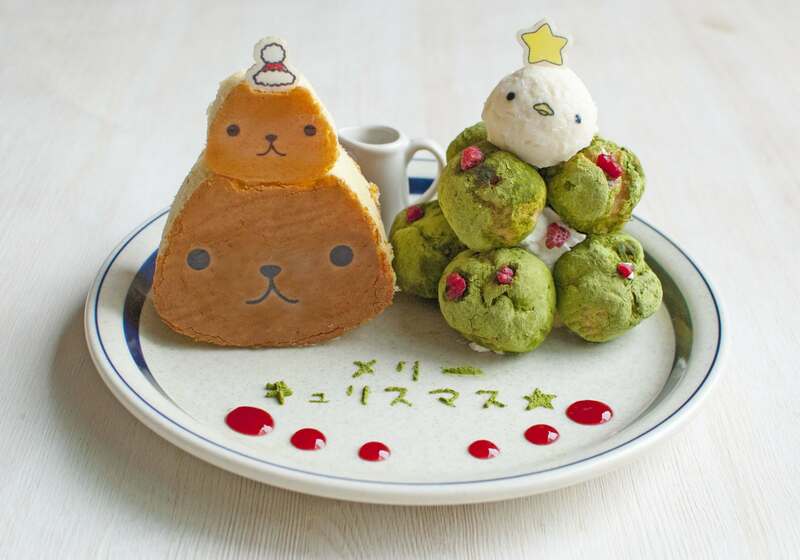 Next to them is a strawberry cream puff tower and matcha powder tree. Warm yourself up with this hot houjicha lattte topped with a Kapibara-san marshmallow. The whipped cream Christmas tree is sure to make you feel cosy too. 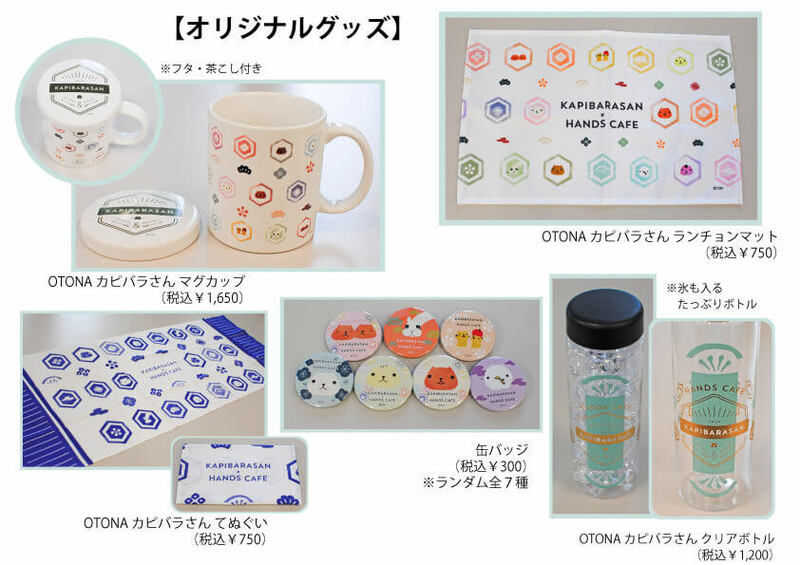 There’s even five pieces of limited edition merchandise to get your hands on too, all with Japanese-style designs including a mug, pin badges and more. 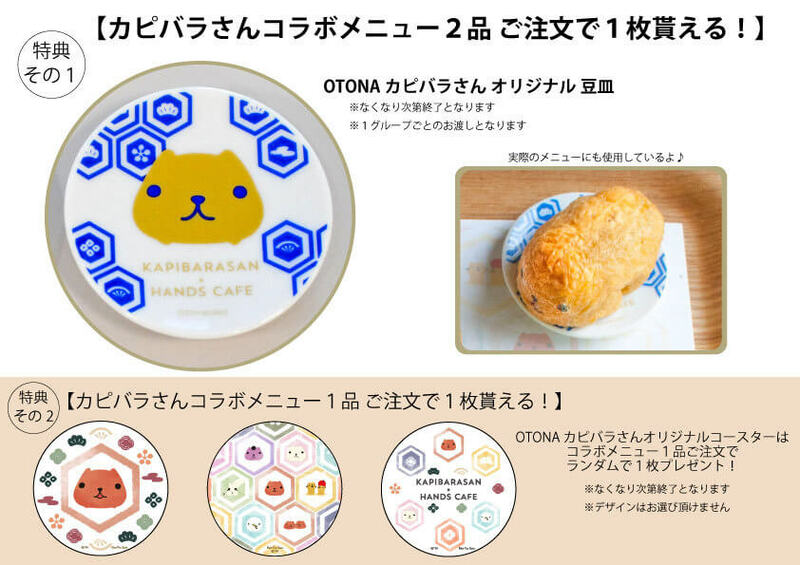 Finally, as a gift to customers, if you order one item from the menu you’ll receive an original coaster, and if you order two an original mamezara, a tiny Japanese plate. These will change to Christmas designs from November 26. 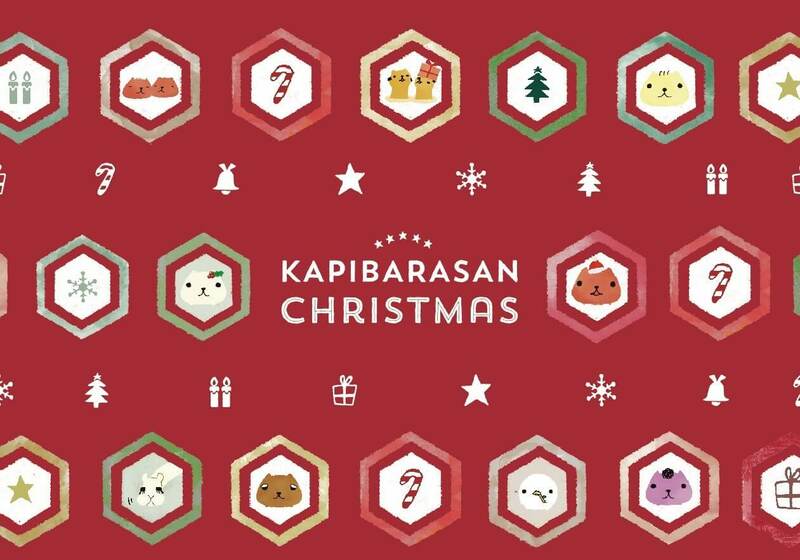 Enjoy a fun and cute Japanese-style Christmas with Kapibara-san and his friends. *The menu is subject to change without prior announcement. *The items shown are still in development and may differ from the finished product.